Parents work with class representatives to schedule parent help days in the classroom approximately two days per month. These are the days you participate in your child's learning and exploration in the classroom. Some examples of parent responsibilities during parent help shifts include snack preparation, set up of outdoor play areas, set up and monitoring of structured art activities, reading and playing with children, conflict management and communication building with children, monitoring and participating in outdoor play and large motor skill activities, clean up, and participation in circle time at the end of the day. Special skills or talents are welcome, and our teacher does a great job incorporating activities into the classroom that highlight the different abilities that parents bring to the school each year. Our preschool is a non-profit business that is run by its members. Each family is responsible for fulfilling a job within the school. All Members attend General Meetings four times per year, Board Members meet approximately once per month to discuss the operations and needs of the school. Families with non-board member positions participate in committee work for various fundraising and operational activities throughout the school year. More detailed information is available at Parent Information Nights, or by contacting us. In our school, families participate in different ways. When parents work and cannot participate in the parent help component of our program, another family member is welcome to fill that role. We have many grandparents, aunts or uncles, even older cousins fill the role of parent helper. Everyone who works in the classroom undergoes a background check, and all volunteers must participate in our classroom orientation to become familiarized with our program and classroom operations. Every family must fulfill a family job, and those tasks can be completed by any member of the family who is able and willing. 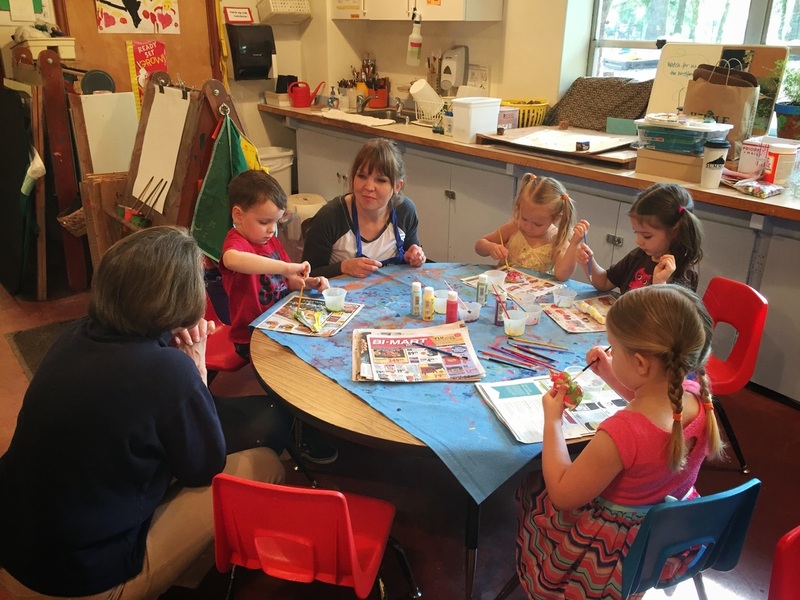 The preschool cooperative relies on parent participation to complete various school tasks. ​Occasionally there is a family that would like to join WLCP, but due to job situations or other factors cannot make the time commitment required to fulfill the in-class co-op requirement. For these families, for the 2017-2018 school year, the preschool will offer what is known as the Cooperative "buyout" option on a very limited basis and at an increased tuition rate.There will only be 2 spots available for both the 3's and 4's classes. Cooperative "buyout" option is not available for the Toddler class. Parents who have chosen the Cooperative "buyout" option are not required to spend any in-class time as a classroom helper, and they do not need to hold a board position or Family job. These parents are still responsible for meeting all other requirements of enrollment fundraiser participation, and attendance at meetings.